All Journals are now available in Spanish! 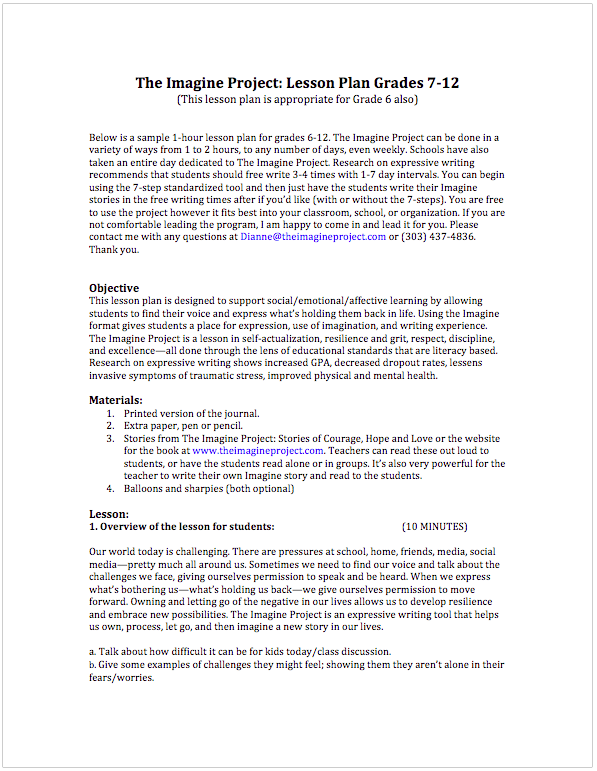 See below to download the Lesson Plans and add The Imagine Project to your curriculum. 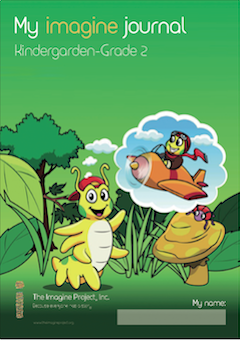 A tool for kindergarten and 1st grade, helping students understand kindness, courage, and believing in themselves. for ages 6-12. A 7-step writing and drawing tool to help students process a difficult life experiences using the word “Imagine…” Kids love it! for ages 13-17. A simple and powerful 7-step writing tool that helps students process stress and trauma using the word “Imagine”. for ages 18+ Adults need help with stress and trauma too. When we help ourselves, we have more strength to help those we love, teach, and care for. Enter your full name and email address below to download our journals for free. You will be directed to the page with the journals and you can download whichever one you want to (more than 1 if you need them). Want a digital version? 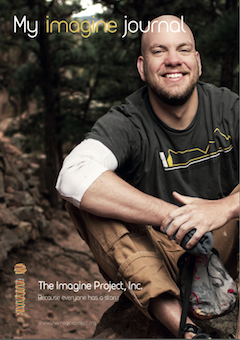 Email Dianne at dianne@theimagineproject.com. Thanks! 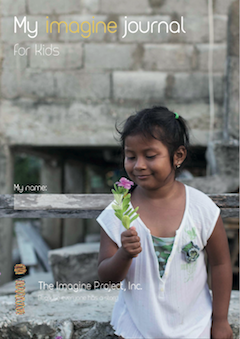 The Imagine Project Journal™ is a simple 7-step process that can be used at home, in a classroom, or in any therapeutic setting, to help kids process difficult life experiences. Enter your full name and email address above to download the journals (and print) if you’d like. 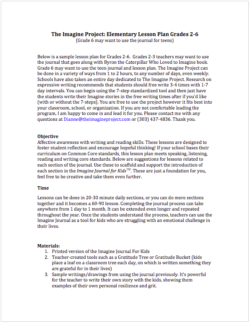 If you’d like a lesson plan for using the journals in your classroom curriculum, click below to download the lesson plan for your classroom. (click image to download) Can be used for a classroom curriculum in elementary schools. (click image to download) Can be used for a classroom curriculum in middle or high schools. See our For Schools page for more information on videos and music! Create calm times of the day, preferably an hour or longer. Spend time with them doing silly and fun things like playing a game, being outdoors, cooking a fun meal (this helps kids calm down their nervous system so they aren’t so triggered by stress), or just plain talking. Structure helps kids know what to expect which always improves stress. Sleep and eat well (less sugar). Help them write about their feelings (you can guess what format we recommend). It’s based on the same theories as Chinese Medicine: Energy meridians runs through our bodies like blood runs through veins and arteries. When we have stressful or traumatic experiences in our lives, they make a negative, energetic imprint in our bodies. Negative energetic imprints from past experiences create physical, mental, and even spiritual imbalances in our system. EFT is simple and easy to learn and is very effective in stress management. Research shows that EFT improves many issues from depression, anxiety, headaches, stomach aches, as well as many other physical and emotional issues. Research even shows it can improve brain function and change brain structure!